How To Fake A Virus Attack Using Notepad To Prank Your Friends:- Looking for an awesome trick to amaze your friends with? Notepad is a text editor that almost all windows users are familiar with. It never ceases to amaze us with its hidden tricks and tips. In this article, I have explained a very simple method using which you can fake a virus attack and prank your friends with the help of pop-up messages. Excited? Well, read on then. First of all, you need to launch Notepad. For that, press WIN+R keys together to open Run dialog box, then type in notepad and hit Enter key. 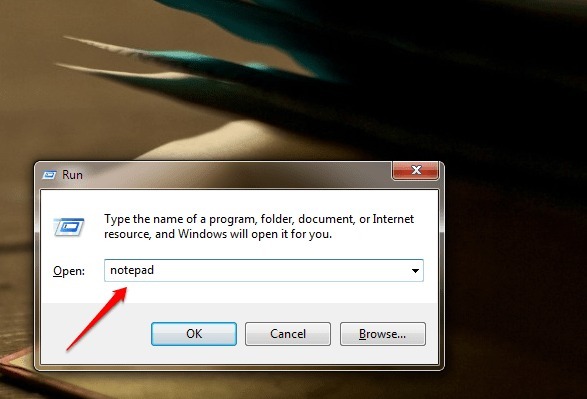 You can alternatively launch Notepad by searching for it in the Windows Search. When Notepad opens up, copy paste the following code. You can add as many lines of the code as you wish. I have shown an example in the given screenshot. When you are done with entering the code, save it in any name you want. 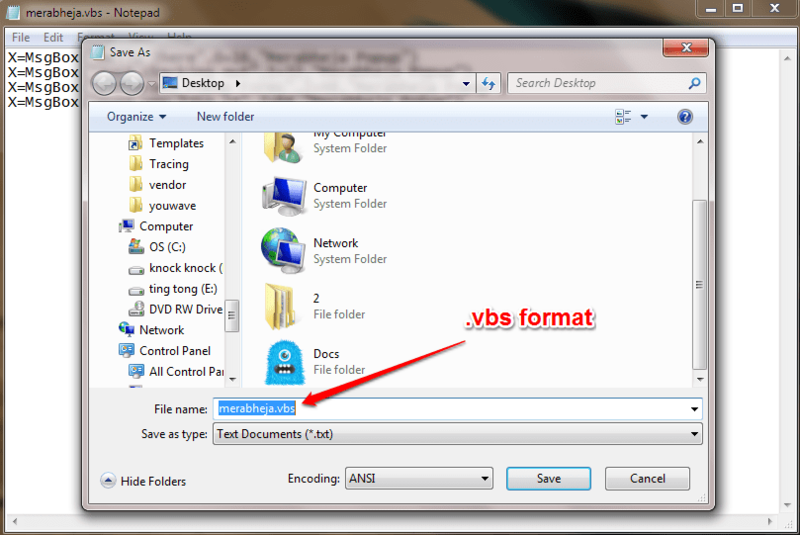 But remember to save it in .vbs format. I have saved the file as merabheja.vbs. 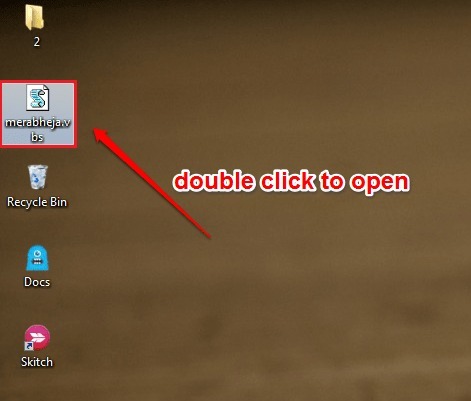 Navigate to the location where you have saved your file and double click on it to open it. There you are. Now you can create your own customized popup messages using nothing but our own Notepad. Well, I would say that’s pretty much straight forward. If you want to run a prank on your friends, you sure should try something like the one I have tried in the following screenshot. The above code would result in the popping up of the Virus Warning message till the code gets exhausted. Don’t worry, it won’t cause the system any harm. Haha, this is interesting and is working great for me. I will just it out with some of my friends. Glad you found the article amusing. Stay tuned for more updates!